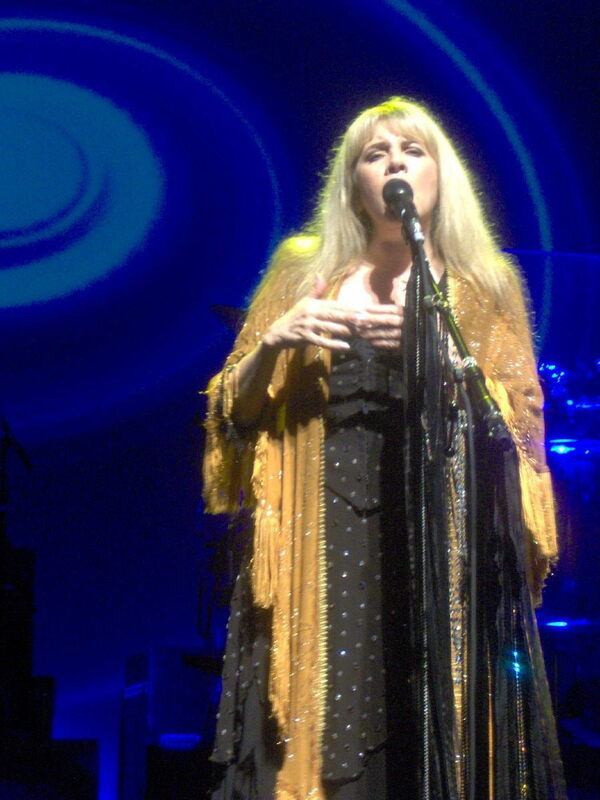 I first heard Stevie Nicks when I was in the 6th Grade. The song “Sara” came on and it was the most magical song I’d ever heard. Then, I was big into disco, and Donna Summer was my idol. What drew me to “Sara” were its gentle chord progressions, the ethereal background chorus, the glimmering guitars, and most of all, that voice. That voice sounded ancient; she sounded like a sibyl, and the haunting impressionistic lyrics (full of starlings, seas, laces) were illuminated by that ancient voice. I did not run out to get the album. At the time, I felt self-conscious about liking “white people” music, so it wasn’t until the 8th grade that I finally bought a Fleetwood Mac album. Nicks is wildly inconsistent, both as a writer and a singer, and has made some truly terrible music. Her voice is one of the most lived-in voices in pop music. You can practically taste the booze she drank and smell the cigarettes she smoked. The husky, rough texture of her voice is probably the result of her over-indulgence in cocaine, which burned a hole in her nose cartilage. She might have a one octave range and an out-of-control vibrato that makes her sound like a billy goat, but she uses it to great effect. You can catch glimmers of her younger voice, and at other times, she can sound like an ancient queen. She is the triple goddess reincarnated as a rock singer. (Maiden, Matron, and Crone). Recently, I listened to a live version of her signature song, “Gold Dust Woman,” and was blown away by the rawness of the performance. At the song’s coda, she chants/sings, “Baby, you can’t save me. I’m running in the shadows.” That song is one of her darkest creations, the photo negative of “Sara.” It is a song about self destructive behavior and about addiction, both to drugs and to doomed relationships. Nicks allows her voice to become harsh and grating. At 65 years old, Nicks still has power.